Go with the system that makes your spa water look, feel and smell great. 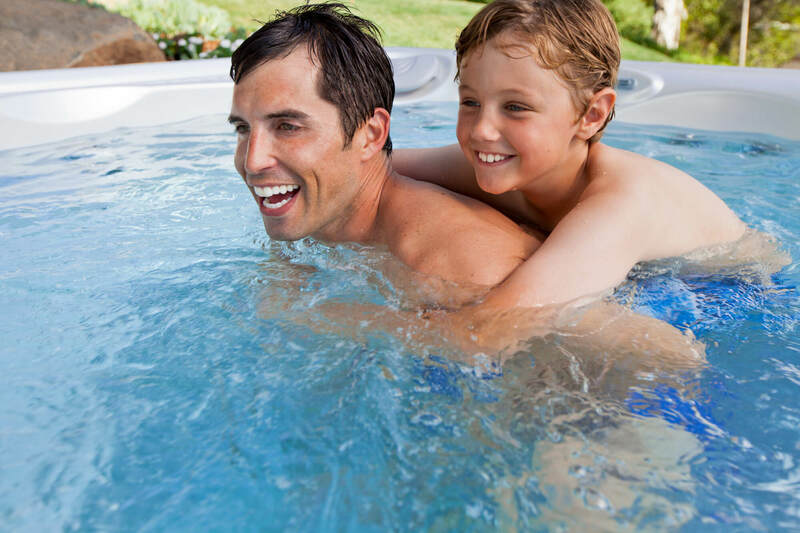 Salt Water Systems make caring for your hot tub simple, giving you more time to enjoy and make memories! Enjoy more natural spa water with less harsh chemicals. Only the ACE system creates "active oxygen" and other powerful cleaners from just a little bit of salt and your spa water. So, there are fewer chemicals added. Bottled chlorine also contains an acid, which is necessary to stabilize the chlorine. With traditional water care, bottled chlorine is added to the spa at a minimum of once a week, and in many cases with each use - which could be daily. Each time the bottled chlorine is added, the spa owner is inadvertently adding more acid to the spa water. The increasing level of acid in the spa water also contributes to the dry skin, red eyes, and irritation that some people experience from spa water. With the ACE system there is only a very small amount of bottled chlorine added to the spa, hence eliminating these side effects. Less time spent on maintenance means more time enjoying your spa. The ACE system automatically generates chlorine and other cleaners for a set amount of time each day, based on your input. So the system is keeping your spa water clean, even when you haven't given water care a thought. 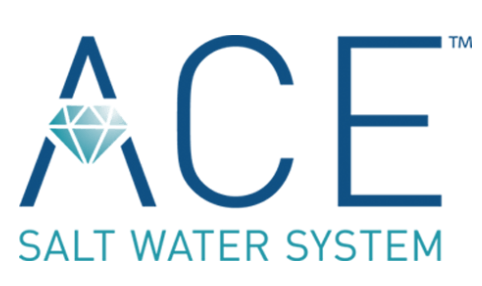 With proper care you will drain and refill your spa less often, because the ACE system helps spa water last longer - up to 12 months. No more dry skin, irritated eyes, or strong chlorine smells.